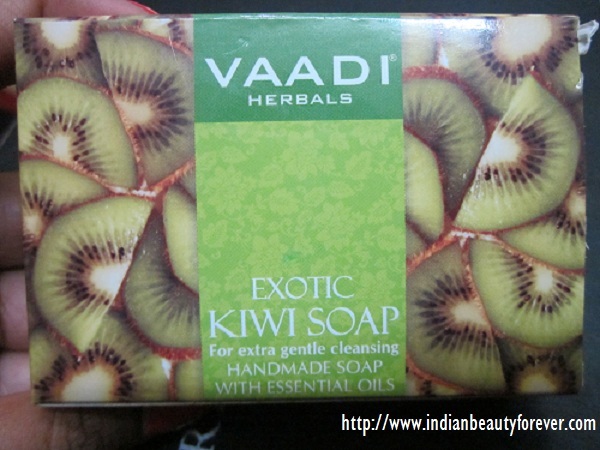 Today, I will review Vaadi herbals soap in exotic kiwi and Royal Indian khus which are handmade soaps with essential oils. I have used these soaps a long ago, I mean 3-4 months ago but reviewing was delayed since other products taken the front seat, then I realized that they are decent product and hence should be reviewed soon regardless of the brand. 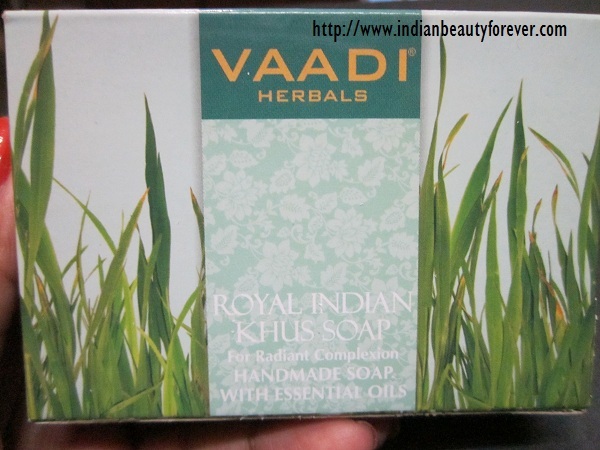 I have used vaadi herbals lip balms and they very decent too. It would be a quick review and will not be concentrating on the claims the brands make since those can be claims only most of the times. Lets talk about the Exotic kiwi first. 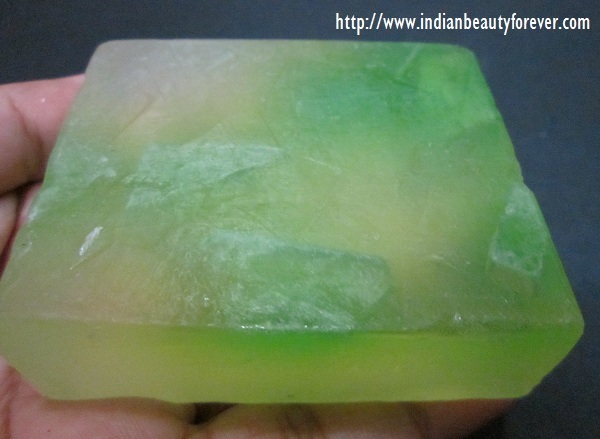 This soap is just like any regular glycerin soap lime green in color, but I must say that both of them smell good, well at least I liked their fragrance. Their thickness is about 1 and half inch. 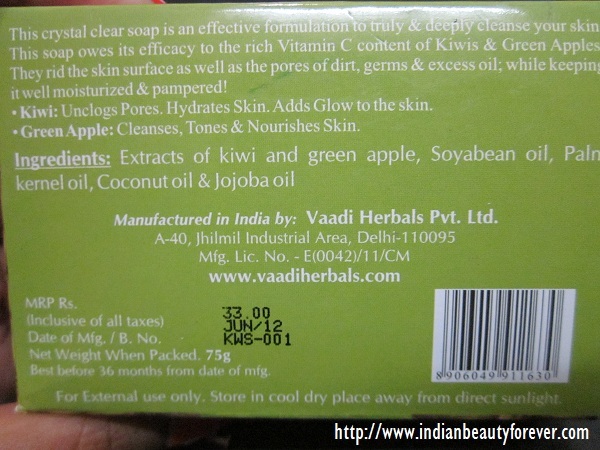 It says that it has kiwi extracts with green apple along with essential oils like coconut, olive, palm etc. Kiwi unclogs pores and cleanses and green apple cleanses, tones and nourishes. 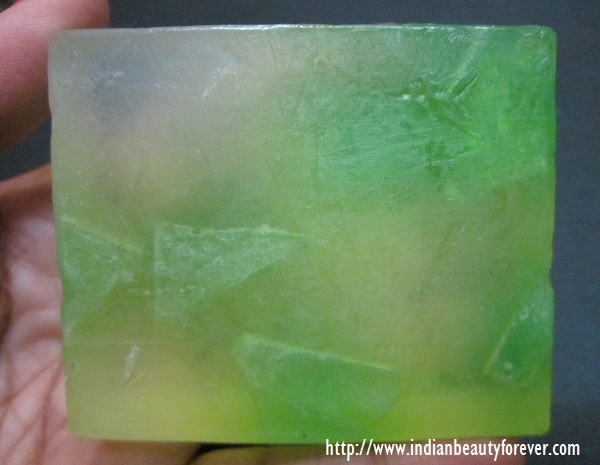 It lasts less than the regular soaps and breaks ups in chunks when about a cm thick soap is left, otherwise, it’s a decent soap that hydrates and lathers pretty well. 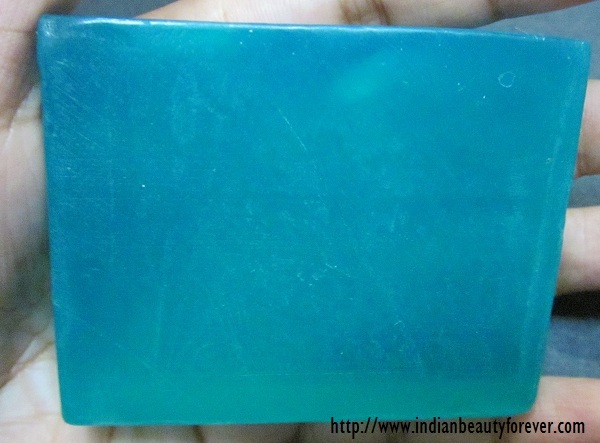 It is a bluish green colored soap with Indian khus extract again with the essential oil and it is also handmade. Fragrance is good but can be a bit overpowering for some of us. 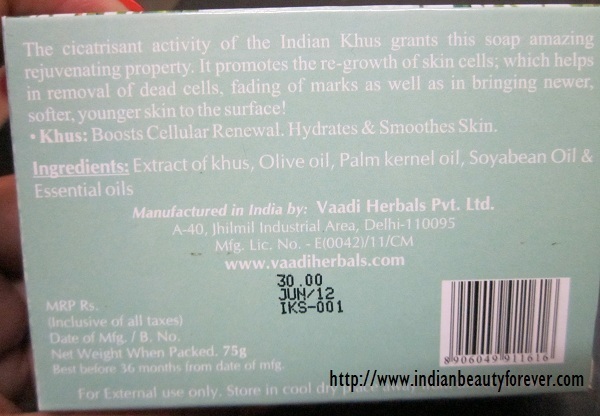 It says that Khus boosts cell renewal, hydrates and smoothens. This one is for 30 INR only while the other one was for 33 INR may be extra money for green apple in those. :) I liked this one more though. Anyways, they are decent product and they can be used at least once to check whether you want to continue or just for the sake of experience. My Take-They are quiet affordable and deserves to be used once. Very very affordable at this price. Loved the color of the Khus soap. Did you like them enough to repurchase? Definitely Gagan, i am thinking of trying and buying more. you have already tried and liked the Royal indian khus one na, if i remember, you will like it too. Thank you Puja, good to see you after so may days. Try this one too, it has nice fragrance.